Invest in Your Adventure with Us. You’ll find our blog to be a wealth of information, covering everything from helpful info for buyers and sellers such as local market statistics, home values, and community happenings. That’s because we care about the community and want to help you find your place in it. Please reach out if you have any questions at all. We’d love to talk with you! Living in a retirement community can combine the best of both worlds offering both freedom and security. Retirement Communities have many benefits and create an opportunity for one to live comfortably while still having many activities to explore. Here at Adventure Group of Long and Foster, we strive to present to you valuable information for all types of homebuyers. Our new additions to our website provide some of the top 55+ retirement communities in Eastern Shore and Southern Delaware. Contact Us to get in touch with one of our agents and we'll be happy to help you! What's Going on this Month in Maryland? We've all been there - hanging out lazy at the homestead, watching the time pass and wondering - "what can we go out and do today?" If you live on the Eastern Shore of Maryland, you're in luck! Need more information about the current real estate market in your area? Look no further, as we have updated our site to include more county pages that are easily accessible on the sidebar of our homepage. These conveniently link to Long & Foster's Market Minute reports to bring you up-to-date real data as it releases to several counties in our service area. If you want to learn more about how valuable these reports are and what they have to offer, keep on reading. The Long & Foster Market Minute reports detail in real estate trends of hundreds of communities across the Mid-Atlantic Northeast. These reports incorporate data from market-wide residential real estate transactions, within specific regions, not just Long & Foster sales. Take advantage of the simple, easy-to-read report of market statistics based on residential real estate transactions and presented at the county level. We understand your local real estate market is unique. Here at Adventure Group of Long & Foster, we want to assist you in accomplishing your homeownership goals with confidence. Knowledge is power, utilize this tool and become well informed through relevant market data in order for you to make the best possible decision. Want more detailed, local market data sent to your inbox each month? Contact Us to have one of our agents set this up for you as a courtesy. The results are in from the final calendar month of the 2018 housing market. We've compiled a stock of market reports in key locations within our realm of service. For further explanation of these reports, contact us and we'll be happy to help you. If you'd like to stay up-to-date with our market reports, reach out and let us know - we can have these very detailed reports sent to you monthly, in addition to custom market reports even further drilled down by the city/town level - and even by subdivision. While the market across most of the Delmarva Peninsula is stable overall, I predict we'll be seeing a minor shift as inventory levels begin to normalize and interest rates continue to climb. Thinking about buying or selling in 2019? Now would be the best time to begin the conversation revolving around: "When is the best time to take action?" So you like Zillow? Give this a shot. Let me tell you - we're excited. Never have I seen a more functional and fast websitefrom a local real estate agent/ broker/ team, than what we're introducing. For those of you who may be in the market for real estate on Maryland's Eastern Shore, or lower Delaware, as your first home, second home, commercial investment OR land investment - keep reading! For property sellers - We have a proprietary quick home valuation tool, and the option to request a full-fledged CMA at no cost or obligation whatsoever. Sellers also love our SOLD searches which allow them to pull data directly from our MLS, so they can do some of their own research as well to support their decision to list at a particular price point. We also offer embedded, sharable, customized GIS maps which enable us to share with buyers 1) Where we are on a property 2) Property boundaries 3) Photo points 4) Soil maps 5) Topography 6) Water features 7) Wetlands 8) FSA, farmland data and MUCH MORE! For property owners - Stay in the know and in control of your real estate investment with with our automated Custom Market Reports. These monthly reports provide homeowners ACTIVE, UNDER CONTRACT & SOLD listings within a county, city and even subdivision and/ or additional search parameters delivered right to your inbox. It provides DOM (days on market), price per square foot and much more. For property buyers - Searching has never been easier! We can do so much for buyers which makes us love our website even more. Take advantage of our Interactive Map search feature, Advanced Search, Foreclosure Search - and set up saved searches when setting up an account on our site. We can put together searches on your behalf and set everything up! But like many of our clients, you'll likely find value and spend hours searching for the latest listings (updated every 15 minutes!) and searching through Adventure Group's very own featured listings. In addition, you'll find a mortgage calculator and helpful videos on how real estate transactions work, play by play. For more information about Adventure Group, check them out here. We invite you again to create an account, and see what all the buzz is about! Phoenix, Arizona DATE – Now in its 23rd year, Broker?Agent™ Advisor celebrates the success and accomplishment of the industry’s finest real estate professionals through it’s exclusive ‘Certificate of Excellence’ Program. Through proprietary criteria, formulas, and other valuable considerations, Tom Ruch of Adventure Group of Long & Foster has been distinguished by Broker?Agent™ Advisor as one of the best in business based on achievement, potential, leadership, ethics, community value, experience, capability and trust for their service during the calendar year of 2018. At Adventure Group of Long & Foster, we’re experts in residential home sales, but we also specialize in land sales. That means a lot of time spent in the great outdoors, trudging through woods, fields, and marsh, and encounters with some of nature’s most troublesome pests: mosquitoes, ticks, and chiggers. We thought we’d take the opportunity just before summer to give you a few tips on how to survive the height of bug season on Delmarva. 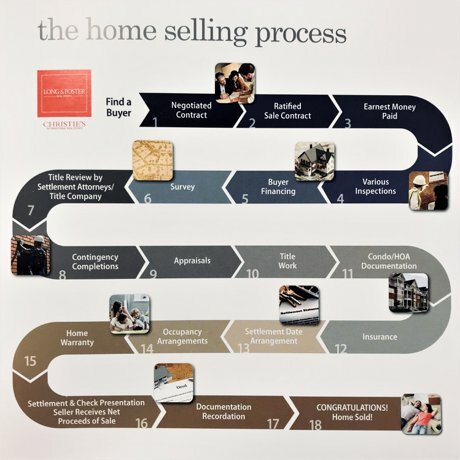 To begin, you’ll meet with one of our agents to discuss your goals and the property you’d like to sell. The agent can advise you on your house’s current market value, things you can do to make your house more marketable, and answer any questions you have about the process. 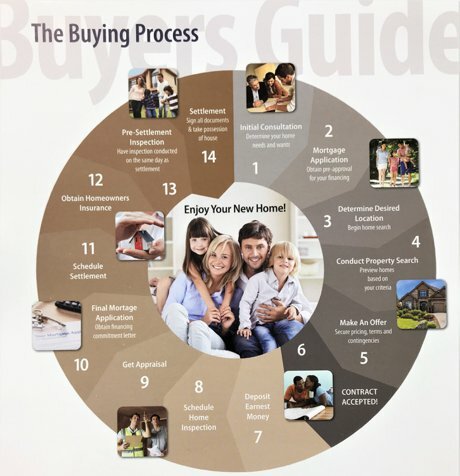 So you’re ready to buy your first home? Congrats! The process can seem intimidating, but the team at Adventure Group of Long and Foster is here to help you along every step of the way. First, you’ll need to determine what you want and what you need from the house you’ll ultimately purchase. If you’re having trouble determining these things, one of our agents can give you some advice on things like neighborhoods, schools, and other factors that may influence your search.